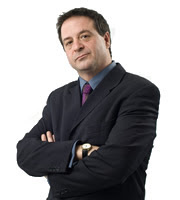 By overwhelming majority, Mark Thomas' studio audience on BBC Radio 4 this evening voted in favour of invading Jersey as their preferred action for the People's Manifesto. Why Jersey? Could it be because Jersey has been acting as a parasite on the back of ordinary people for decades, and we're all sick to death of it?